P/N: 33-100 Price: $19.90 Shipping Status: Immediate, In Stock. 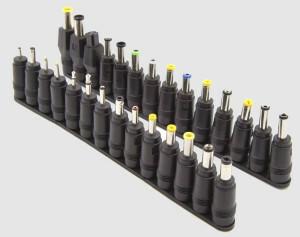 Fully molded jack and plugs with strain reliefs. KX3 plug – 0.020Ω each conductor, 0.04Ω total for 0.1V drop max at 2.6A KX3 transmit current. PX3 plug – 0.05Ω each conductor, 0.1Ω total for 0.014V drop at 0.140mA PX3 current. P/N: 33-120 Price: $6.90 Shipping Status: Immediate, In Stock. P/N: 33-140 Price: $6.90 Shipping Status: Immediate, In Stock. Adapts the output of the PAE-Kx33 for use with the Flex1500 and others. 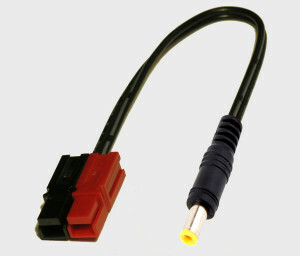 5.5mm x 2.5mm DC power plug. P/N: 33-160 Price: $9.50 Shipping Status: Immediate, In Stock. Adapts the output of the PAE-Kx33 for use with any 12-14VDC device requiring a PowerPole connector such as the Elecraft K3 . 15A PowerPole DC power plug. P/N: 33-165 Price: $9.50 Shipping Status: Immediate, In Stock. 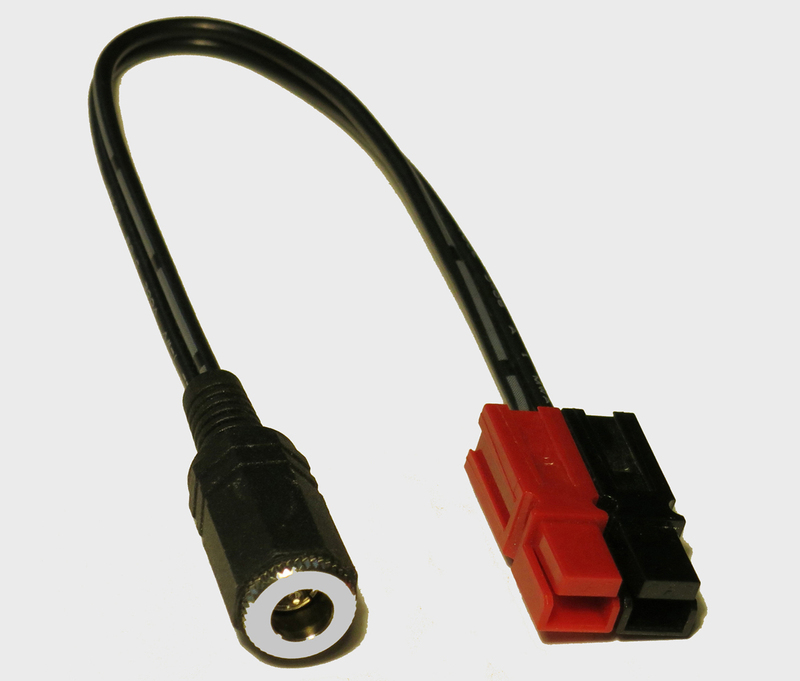 Adapts a PowerPole source for use with any 12-14VDC device requiring a 2.1mm x 5.5mm DC power plug connector like the Elecraft KX1/KX2/KX3 . 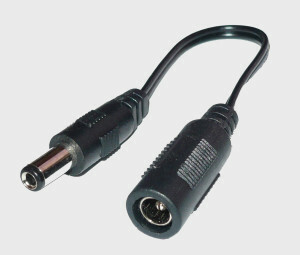 5.5mm x 2.1mm DC power plug. P/N: 33-180 Price: $29.90 Shipping Status: Immediate, In Stock. P/N: 33-220 Price: $18.90 Shipping Status: Immediate, In Stock. Drops the output of the PAE-Kx33 0.4V for use with an Elecraft K2 with the internal battery option. For more information click here. Easy to put on and take off as needed, as an alternative to installing the 33-225 Charger Mod Kit. 5A Schottky diode with correct voltage drop. 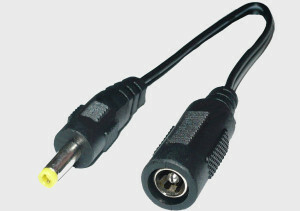 5.5mm x 2.1mm right angle DC power plug. P/N: 33-225 Price: $4.90 Shipping Status: Immediate, In Stock. For use with an Elecraft K2 with the internal battery option. Allows full power supply voltage at the rig while dropping battery charge voltage 0.4V to reduce overcharging. For more information click here. 4″ replacement heat shrink tubing. Full illustrated instructions for installation. Replaces the Kx33’s AC cord, allowing the Kx33 to be mounted flush to the wall supported by the AC plug, eliminating the clutter of an AC cord. 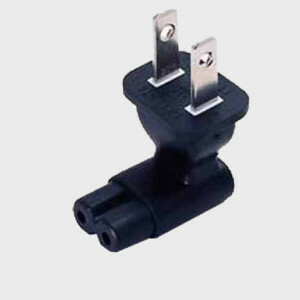 Standard US NEMA 1-15P plug. Right angle to mount Kx33 flush to the wall. Effectively turns the Kx33 into a ‘wall-wart’ style supply.